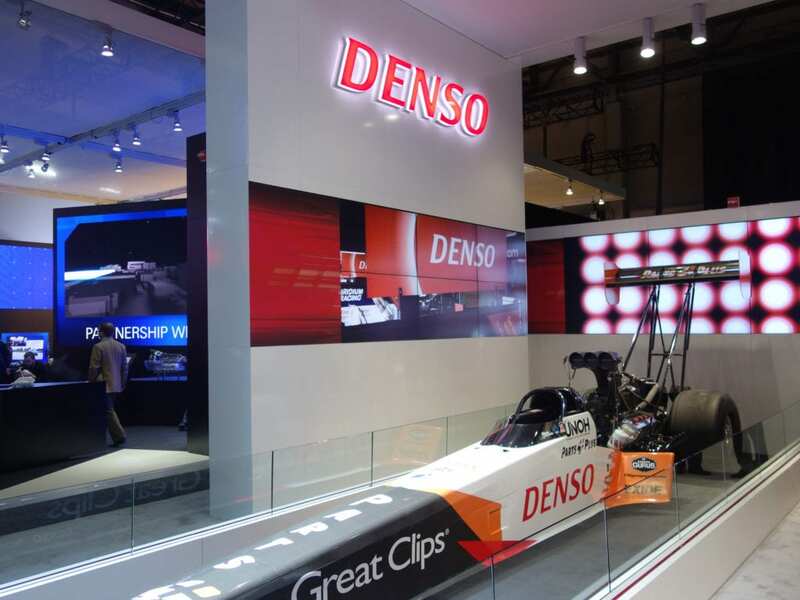 KARIYA — Global automotive supplier DENSO Corporation will exhibit its latest technologies in the areas of safety and environment at the 12th Auto Expo 2014 – Components, in New Delhi, India, from Feb. 6 to 9, 2014. In the area of safety, DENSO will exhibit the head-up display control commander linked system that combines a head-up display, which projects vehicle information on the front windshield, with operations of vehicle equipment such as the air conditioning and audio system. 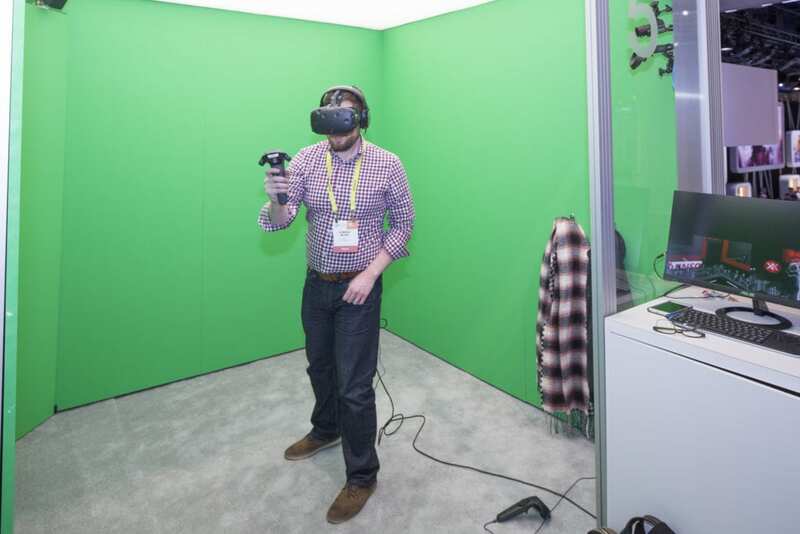 The company will also introduce its pedestrian collision detection sensor?that enables the pop-up hood to operate more accurately, and the on-board communication device for vehicle-to-vehicle and vehicle-to-infrastructure (V2X) communication technologies. In the area of environment, DENSO will display its diesel common rail system that injects fuel with a maximum pressure of 2,500 bar. DENSO will also exhibit stop/start system products such as the tandem solenoid starter, lithium ion battery pack and cold storage evaporator, which contribute to further improvement in fuel efficiency. DENSO will continue developments centering around the India Technical Center, established in 2012, to develop technologies and products that further meet the needs of the market. DENSO Corporation, headquartered in Kariya, Aichi prefecture, Japan, is a leading global automotive supplier of advanced technology, systems and components in the areas of thermal, powertrain control, electronics and information and safety. Its customers include all the world’s major carmakers. Worldwide, the company has more than 200 subsidiaries and affiliates in 36 countries and regions (including Japan) and employs more than 130,000 people. Consolidated global sales for the fiscal year ending March 31, 2013, totaled US$38.1 billion. Last fiscal year, DENSO spent 9.4 percent of its global consolidated sales on research and development. DENSO common stock is traded on the Tokyo and Nagoya stock exchanges. For more information, go to www.globaldenso.com. In India, DENSO started operations in 1984. It now has seven subsidiaries including five production companies, which produce automotive air conditioning systems, fuel injectors, engine ECUs, starters, alternators and other devices. The company employs more than 2,900 people in India. For more information, go to www.denso.co.in. Currently, in North America, DENSO employs more than 17,000 people at 32 consolidated companies and affiliates. Of these, 28 are manufacturing facilities located in the U.S., Canada and Mexico. In the U.S. alone, DENSO employs more than 11,000 people in California, Michigan, North Carolina, South Carolina, Tennessee, Kentucky, Georgia, Iowa, Ohio, and Arkansas. DENSO’s North American consolidated sales totaling US$6.8 billion for the fiscal year ending March 31, 2013. KARIYA, Japan – Global automotive supplier DENSO has developed a new automotive climate control unit that can be used in a wide variety of vehicles ranging from compact to luxury cars. Conventional climate control units are often designed and tailored to each vehicle model; however, because of unit’s new structure, the company was able to standardize components while also meeting the required performance. This highly standardized automotive climate control unit, which is also smaller and lighter than previous models, is the world’s first of its kind. “Many of the subcomponents for this product, such as air mix door, servo motor and blower fan are newly developed, which allowed us to reduce the unit’s size by 20 percent compared to DENSO’s conventional model,” said Katsuhisa Shimokawa, executive director responsible for DENSO Corporation’s Thermal Systems Business Unit. The thickness of the air mix door is half that of DENSO’s conventional one, which reduces the depth and weight of the unit. Also, the conventional unit required several servo motors to operate the air mix door, whereas the new unit has standardized doors and needs only one, enabling the unit case to be made smaller. The new blower fan’s wing blades are re-shaped to best suite the wind flow, which allowed the new fan to become 15 percent smaller and consume 20 percent less power, while also maintaining high air discharge capacity. With these new technologies, the new smaller, lighter climate control unit with higher performance can also be used in eco-friendly cars. For instance, for stop/start system the evaporator in the unit can be replaced with a cold storage evaporator, and for hybrid and electric vehicles the heater core can be replaced with a heat pump air conditioning system. Also by changing the blower fan to two layer – structure, to take in external air and circulate internal air simultaneously, the air conditioning system could be used for vehicles with limited heat sources. DENSO’s new climate control unit is used in the new HARRIER, which was released last December and in the NOAH and VOXY which was released this month. This new climate control unit will be offered for a wide variety of vehicle models all over the world. DENSO will continue to help create an advanced automotive society by developing technologies that can improve the comfort and environmental performance of vehicles. 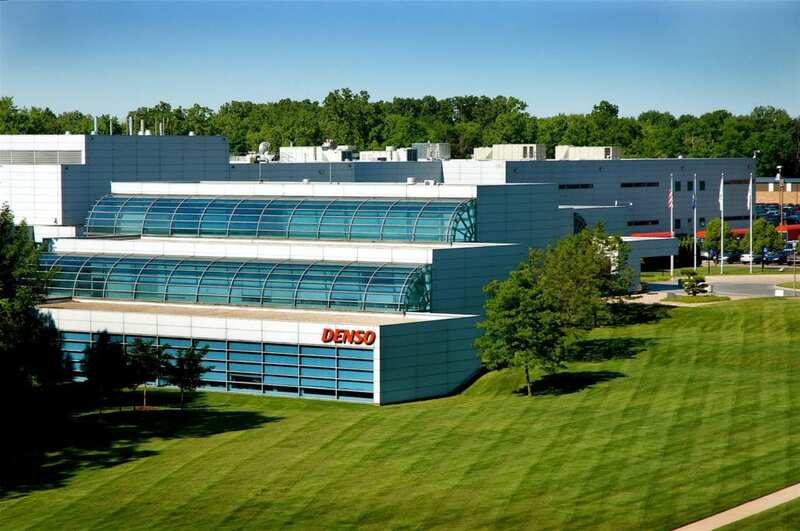 SOUTHFIELD, Mich., – Global automotive supplier DENSO is investing US$10 million and adding 176 new jobs to expand its North American headquarters in Southfield, Mich. The investment, which includes the purchase of an existing 81,000 sq. ft. office building on its current campus, will increase its research and development capabilities in the region. The expansion is part of the company’s plan to invest nearly $US1 billion and create 2,000 jobs in North America over a four-year span. Of this, more than $750 million and 1,200 will be in the United States alone. In Tennessee, DENSO will invest approximately US$55 million and add 130 positions at DENSO Manufacturing Athens Tennessee (DMAT) to expand its gasoline direct injection lines. This is in addition to the $50 million investment and 130 new jobs that DENSO announced last year to localize its gasoline direct injection lines, bringing the total investment to $105 million and 260 new jobs. In Montgomery, Ala., DENSO is investing approximately US$2.2 million to open a new shipping plant, named DENSO Manufacturing Michigan Alabama (DMMI-AL), resulting in at least 45 new positions. DMMI-AL will support the warehousing and shipping of Heating Ventilation Air Conditioning (HVAC) units and other parts for its North American customers. Start of operation is scheduled for April 2014. DENSO Corporation, headquartered in Kariya, Aichi prefecture, Japan, is a leading global automotive supplier of advanced technology, systems and components in the areas of thermal, powertrain control, electronics and information and safety. Its customers include all the world’s major carmakers. Worldwide, the company has more than 200 subsidiaries and affiliates in 36 countries and regions (including Japan) and employs more than 130,000 people. Consolidated global sales for the fiscal year ending March 31, 2013, totaled US$38.1 billion. Last fiscal year, DENSO spent 9.4 percent of its global consolidated sales on research and development. DENSO common stock is traded on the Tokyo and Nagoya stock exchanges. For more information, go to www.globaldenso.com, or the European website www.denso-europe.com. 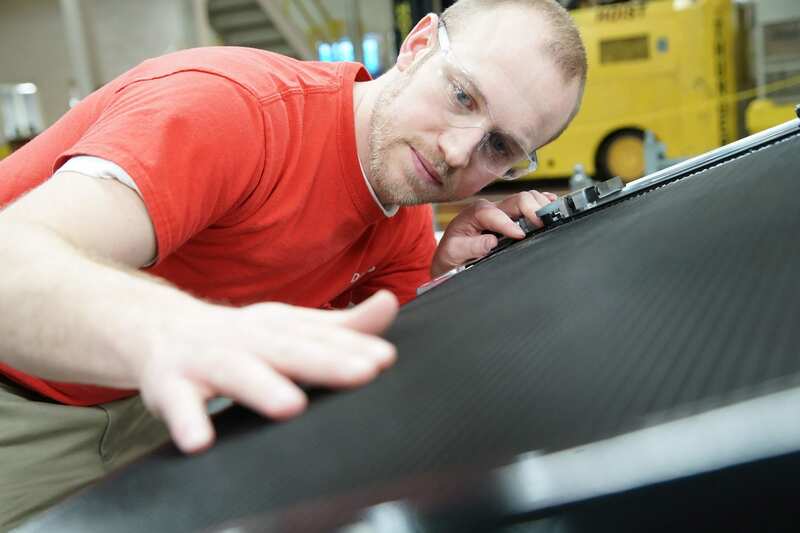 SOUTHFIELD, Mich., – DENSO announced it is investing an additional $55 million and adding more than 130 new manufacturing jobs at its DENSO Manufacturing Athens Tennessee (DMAT) facility in Athens Tenn. This is in addition to the $50 million investment and 130 jobs that was announced last year to localize its gasoline direct injection injectors (GDI), bringing the total investment to approximately $105 million and 260 new jobs. Depending on engine size, DENSO’s GDI system can help automakers achieve up to 20 percent fuel economy while also helping reduce CO2 emissions of up to 15 percent. For consumers, it means more mileage for the money and an overall savings at the gas pump. DMAT began tooling, staffing, and training preparations in June 2013, for mass production of gasoline direct injectors in 2014. DENSO first mass produced GDI components in 1996, and started production of its third generation of GDI technology in 2012. DENSO’s latest generation technology is geared to deliver more power and lower emissions while being more compact. Its reliability and flexibility allows it to be used in markets around the world. DMAT currently employs more than more than 1,000 employees and has been producing fuel injectors since 1998 for the North America region. The facility also produces oxygen sensors, ignition coils, monolithic carriers and spark plugs. SOUTHFIELD, Mich., – Leading a new effort to address the continuing challenge of driver distraction, global automotive supplier DENSO, Massachusetts Institute of Technology (MIT) AgeLab and Touchstone Evaluations have founded a consortium, Advanced Human Factors Evaluator for Automotive Demand (AHEAD), that aims to develop new perspectives and methodologies for a holistic and objective approach to measuring driver demand. Honda R&D Americas, Inc., Subaru Research & Development and Jaguar Land Rover have joined the program as initial partners, and discussions with other global automakers and portable electronics suppliers are ongoing. The new consortium brings together leading researchers, automakers and suppliers to take a fresh look at methods to reliably and repeatedly assess the demands associated with in-vehicle interactions. Further, this work aims to provide the auto industry with an evaluation platform that better supports driver safety as the potential for automotive human-machine interface (HMI) complexity increases. Current evaluation methods for HMI technologies are primarily based upon criteria developed before the advent of modern integrated technologies such as voice interfaces, touch screens and multi-function controllers. Perhaps most importantly, the evaluation methods utilized to date don’t consider the tradeoffs that exist as demand is moved between modalities such as vision, touch, sound, haptics, gesture and cognition. The effort aims to make early stage prototype evaluations more feasible where design changes can be more effectively achieved – in contrast to evaluations that frequently take place later in the vehicle development process. The goal of AHEAD is to create a quantifiable objective evaluation toolkit that will be useful across the industry for supporting new HMI development; and, one that will improve the effectiveness and reliability of data, helping manufactures and portable electronics suppliers offer intuitive, convenient and safe interfaces to the consumer while more effectively meeting industry and governmental guidelines. Joining forces to lead the technical effort are researchers from the MIT AgeLab and Touchstone Evaluations, Inc. The MIT AgeLab has lead efforts to utilize to multi-dimensional assessment by holistically combining physiological, visual attention and performance measures as part of HMI evaluation. “Physiological measures complement traditional visual attention and performance measures to provide a more complete picture of the interacting demands of modern HMI.” Dr. Bryan Reimer, a Research Scientist in the MIT AgeLab, the Associate Director of The New England University Transportation Center at MIT and the MIT technical lead for AHEAD. The MIT AgeLab was created in 1999 as a global research program to invent new ideas and creatively translate technologies into practical solutions that improve people’s health and enable them to “do things” throughout the lifespan. Based within MIT’s School of Engineering’s Engineering Systems Division, the AgeLab has assembled a multi-disciplinary team of researchers, business partners, and universities, to design, develop and deploy innovations that touch nearly all aspects of how we will live, work and play tomorrow. Core research themes include transportation, health and wellness, and longevity planning. Touchstone Evaluations, Inc. was founded in 2008 in Detroit, Michigan. It is a new-generation human factors firm that provides research and consulting services in the automotive and consumer-product sectors. It is distinguished by the priority it places on scientific rigor, and by its focus on creating the “next practices” of user interface development, which will lead to effective and pleasing products. Touchstone’s founders are award-winning scientists and engineers in the field of driver performance assessment and vehicle evaluation, who collectively have over 85 years of experience in the automotive industry. Of the client-customized services which Touchstone delivers annually, typically 75 percent are focused on driver multitasking, attention, and distraction-assessment, 15 percent on active safety and emerging automotive technologies (including automation), and 10 percent on User Interface innovation. For more information, visit http://touchstoneevaluations.com/. About DENSO: Currently, in North America, DENSO employs more than 17,000 people at 32 consolidated companies and affiliates. Of these, 22 are manufacturing companies that have 28 production locations in the United States, Canada and Mexico. In the U.S. alone, DENSO employs more than 12,000 people in California, Michigan, North Carolina, South Carolina, Tennessee, Kentucky, Georgia, Iowa, Ohio, and Arkansas. DENSO’s North American consolidated sales totaling US$6.8 billion for the fiscal year ending March 31, 2013. SOUTHFIELD, Mich. – Bill Foy has been appointed to senior vice president of the Sales and Marketing Division for DENSO International America, Inc. (DIAM). Located at DENSO’s North American headquarters in Southfield, Mich., Foy is responsible for overseeing Sales, Marketing and Business Operations activities for all customers. The position is effective Jan. 2, 2014. “Foy’s extensive experience and background will help set overall customer and product strategy to deliver total value to North American and global customers and drive stronger business partnerships,” said Kazumasa Kimura, chief operating officer of DIAM. Previously, Foy served as vice president of the Sales and Marketing Division, responsible for overseeing the Toyota, Chrysler, Hyundai and European Sales groups, as well as Business Operations and Planning activities for DENSO’s North American region. Foy first joined DIAM in 1997 as senior manager of the General Motors Sales Group. In 2001, he joined the Chrysler Sales Group where he coordinated sales activities for all products and was successful in aligning DENSO group companies to achieve two global supplier awards. He later was named vice president of the Chrysler Group in 2005 and was responsible for overseeing the group’s overall sales activities for the North American region. Foy holds three degrees, including a Master of Business Administration from the University of Michigan in Ann Arbor, Mich., a Bachelor of Science in Mechanical Engineering and a Bachelor of Science in Biological Sciences, both from the Michigan Technological University in Houghton, Mich.
WHAT: Global automotive supplier, DENSO International America, Inc. (DIAM), premier sponsor of the 2014 North American International Auto Show, will give an update on its North American expansion plans, including its progress on investment and job creation in the region. 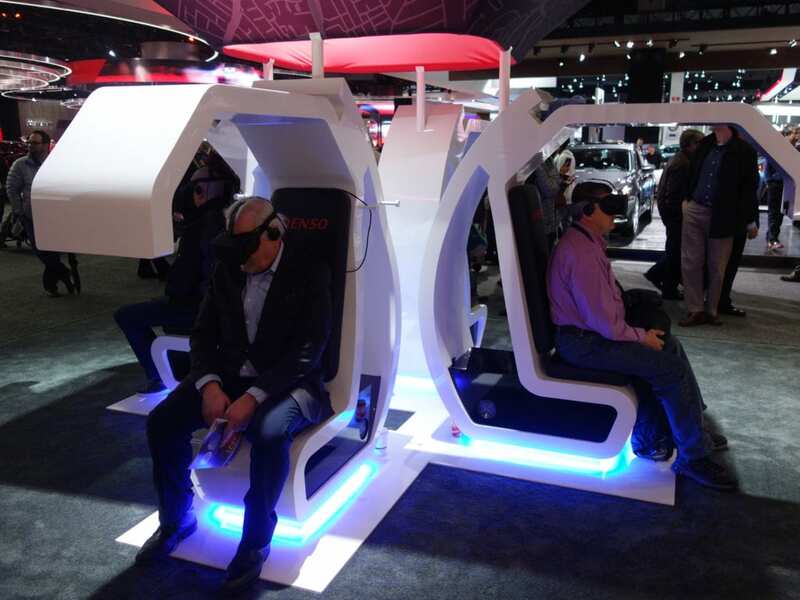 Also, DENSO will share its research findings related to the alarming number of teen driving accidents in the United States and around the world, and explain how it plans to address these challenges. WHEN: Tuesday, Jan. 14, at 7:35 a.m.
Last year, during NAIAS 2013, DENSO announced that it would invest nearly US$1 billion and create approximately 2,000 jobs over the next four years. The investment will allow DENSO to better support its North American customers, as well as expand new business areas and localize products, many of which will help automakers meet upcoming fuel requirements. More than $750 million will be invested in the United States alone, along with more than 1,200 jobs. QUESTIONS & INTERVIEW SCHEDULING: If you would like to RSVP or schedule an interview with DENSO executives, please contact Bridgette LaRose at 248-372-8266 or bridgette_larose@denso-diam.com. KARIYA (Japan) Toyota Tsusho Corporation, Aisin Seiki Co., Ltd., and DENSO Corporation will jointly open a wholly owned store in Cambodia that will offer automotive repair and maintenance services, as well as sell related automotive components. The wholly owned store will start operations in February 2014 with the brand name of “PIT & GO.” The company name for the wholly owned store will be PIT&GO Automotive Service (Cambodia) Co., Ltd.
As the motor vehicle demand in emerging markets, like Asia and Africa are rapidly increasing, there is a growing need for repair, maintenance and other after-sales services for new and used vehicles. To quickly provide high-quality automotive components and services and improve customer satisfaction, Toyota Tsusho, Aisin and DENSO will jointly open a wholly owned store in Cambodia. To expand its regional service network, PIT&GO will identify qualified stores and designate them as PIT&GO-certified, as well as help them improve their repair skills and store management. Toyota Tsusho Corporation, headquartered in Nagoya, Aichi prefecture, Japan, is a general trading company that develops businesses with customers around the world through a global network encompassing Japan and more than 60 other countries and more than 900 consolidated Group companies. Its operations span seven fields headed by seven product divisions. Each division leverages its specialized strengths in their particular field while also pursuing synergies with other divisions to create new value. Consolidated global sales for the fiscal year ending March 31, 2013, totaled US$67 billion. AISIN SEIKI Co., Ltd., headquartered in Kariya city, Aichi prefecture, Japan, is a globalized automotive parts and system supplier. As a central hub of 179 subsidiaries and affiliated companies, AISIN SEIKI Co., Ltd. manufactures and supplies drivetrain, brake, chassis, body, engine, and information technology products to the world’s major carmakers. In addition, the company has applied its experience in the automotive industry to non-automotive industries such as life, energy, and wellness. The AISIN Group has reinforced local & worldwide production, consolidating global sales for the fiscal year ending March 31, 2013, totaling US$30.4 billion. DENSO Corporation, headquartered in Kariya, Aichi prefecture, Japan, is a leading global automotive supplier of advanced technology, systems and components in the areas of thermal, powertrain control, electronics and information and safety. Its customers include all the world’s major carmakers. Worldwide, the company has more than 200 subsidiaries and affiliates in 38 countries and regions (including Japan) and employs more than 130,000 people. Consolidated global sales for the fiscal year ending March 31, 2013, totaled US$38.1 billion.